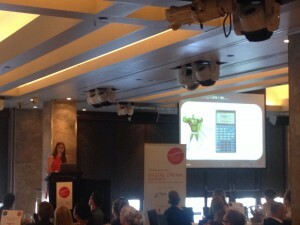 Digital Cream Sydney: Are digital marketers missing opportunities? 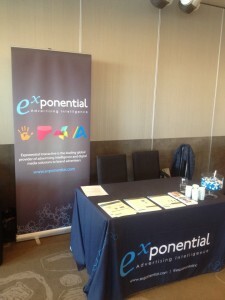 Exponential were the lead sponsors of Econsultancy’s Digital Cream in Sydney on Thursday, which was a great opportunity to meet 100 or so client side brand marketers. Our own Insights Manager Alice Donaldson delivered an interesting presentation to kick off the day on the topic of Debunking Stereotypes, exciting the marketers in the room to think about data and insights and how it can influence marketing strategy. Exponential then took the lead at two of the roundtables with Ben Maudsley on Data Driven Advertising and Tyler Greer discussing Online Advertising Strategy. After participating in the event, Tyler has shared some interesting observations – ultimately, there is no shortage in passion for digital but there is a need for marketers to look at the opportunities and gaps that need to be closed. Perhaps the most interesting thing to emerge from the Digital Strategy table at last week’s Digital Cream in Sydney was the confusion around what actually constitutes a digital strategy. Whilst some delegates, mostly those representing major brands, had a clear view on the goals they were seeking and methods by which they would achieve them, others were still at the point of deciding how best to set up a Facebook page. Critically, audiences barely emerged as a point from which to begin designing a strategy, and many took it for granted that if they kicked off some social networking, shot off a few emails, and perhaps bought some Google Ad Words, the money – if not the ‘likes’ – would start flowing. The lack of audience data and insight was crucial. Many seemed to approach online users as a single entity, devoid of their own segmentation-driven habits and behaviours. In a perfect world, a good understanding of existing and potential consumers will allow the planner to derive insights into the way in which they act in the online universe and begin to build an online media and communications strategy accordingly. Without this, we are still firing arrows in the dark and hoping to hit someone. When it was suggested that “…it’s entirely possible that your brand may not actually need a Facebook page”, our delegate from Nestle literally threw his hands in the air and cried Hallelujah! Of additional note was how few delegates had really considered how their offline media impacted on their online activity. Digital budgets and planning was mostly put together in isolation without reference as to how the various channels might work together. This all said, the fact is that many of the delegates came from the position of small brands with tiny budgets who needed to demonstrate a response to their placements before they could hope to increase their budgets and take their digital thinking into a deeper realm. Small budgets are, of course, not a complete barrier to running a smart digital campaign. But in order to squeeze the most juice from the digital orange, launching a strategy from an understanding of audience and their online behaviour is a good place to start. It will be interesting to network with marketers who are encountering similar challenges and opportunities when Exponential participates at Digital Cream in Singapore in November later this year. Jessica Batt is Exponential’s Marketing Director across APAC, India and South Africa. Jessica is a strategic marketing professional with over 12 years experience in communications, marketing and strategy both in Australia and the UK. She is knowledgeable and passionate about online media and the digital marketing environment and loves being part of an ever-changing industry.